Memorial Day is an opportunity to remember the men and women who gave their lives protecting our country and serving in the various branches of the U.S. Armed Forces. The holiday dates back to the post-Civil War era when it was known as Declaration Day. The day has been celebrated more broadly only since taking its current name in 1967 and being specified as a Monday observance the following year. 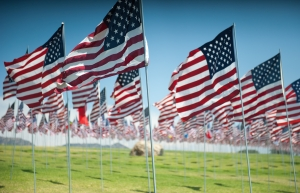 Our San Francisco personal injury law firm expresses our gratitude to the men and women who have served and given their lives in order to protect our nation. For many, Memorial Day is also the unofficial start to the summer season. As our San Francisco accident lawyer knows, it is also a holiday marked by long weekend getaways and congested highway traffic. The San Francisco Chronicle cites a report from AAA Northern California that estimates approximately 4.2 million Californians plan to travel more than fifty miles for weekend festivities. This estimate marks an increase of 1.5 percent from the 2011 figure. The majority of these travelers, a projected 3.5 million, will travel by road this weekend, an increase of about 1.6 percent. Fewer Californians are expected to travel by air than in 2011, with projections estimating 390,000 state residents will use planes for holiday getaways, a decrease of 5.2%. While it is always an important consideration, holiday traffic makes safe driving in San Francisco even more crucial. Holiday observances will also result in some closures during the weekend. As has been the case for several toll bridges on recent holiday weekends, the Dumbaraton Bridge will be closed. The closure is in effect from 10 P.M. on Friday until 5 A.M. on Tuesday. Crews will be working to replace a seismic joint on the span that will allow eighteen additional inches of movement in case of an earthquake and will raise the bridge five inches to make room for the addition of ninety-six seismic bearings in the upcoming eight months. Additional traffic snarls are expected in the vicinity of the Golden Gate Bridge. The iconic landmark will be celebrating its seventy-fifth birthday with a festival and firework display. The bridge will remain open with the exception of a short closure totaling about an hour before, during, and after the 9:30 P.M. firework display. Traffic delays are nonetheless forecast for the entire holiday weekend in the bridge’s vicinity. Spokespeople for the Golden Gate Bridge Highway and Transportation District advise visitors to the festivities to use public transportation (extra services will be added on Sunday) or to travel via foot or bicycle. We hope that everyone in our Northern California community keeps safety a priority throughout the holiday weekend. Avoid starting the summer with a traffic accident in San Francisco or wherever you will be traveling this weekend. Use caution when driving in congested areas and, as always, don’t drink and drive. Enjoy the kick-off to the summer season and please take a moment to remember those who have paid the dearest price for protecting our freedom.